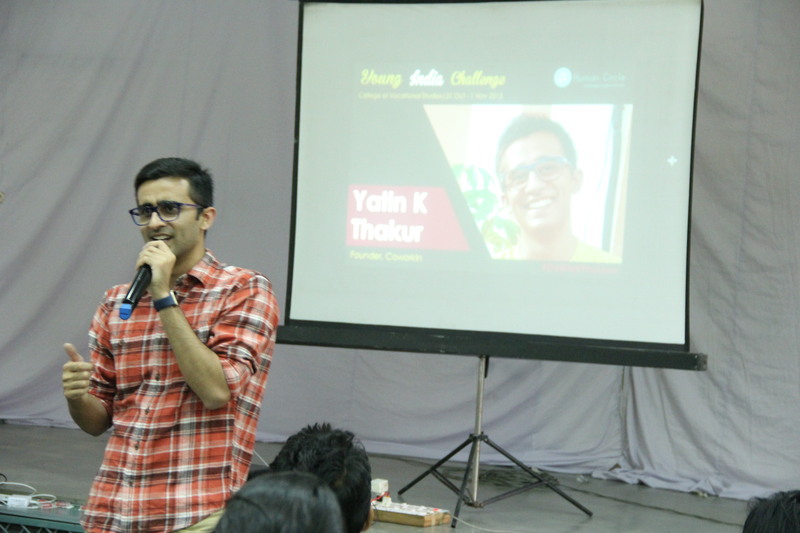 Yatin Thakur is a young entrepreneur, founder of CoWorkin and a speaker at Young India Challenge. The man was clueless about his future at his teenage and it was his hunt for his dream which landed him here. He realised that he was good at helping people set up their businesses and advise them. He found a place which was about to close and used it and its basic furniture to set up CoWorkin – chain of coworking places. He provided people the required resources and advised them for their business plans. After organising and advising companies over years, he realised that this is his dream and he started working towards it. As a youth, Yatin never enjoyed ques and thus he made his own! Things never worked as per plans for him so he learnt that if you want to do something, just do it. He completed his basic education but kept working upon his ideas. Later he got his hands with Startup Weekend which works on start ups and advise them. Though journey had not been easy for him, but he believes that looking at the positive in middle of negatives helps one to come out of it. 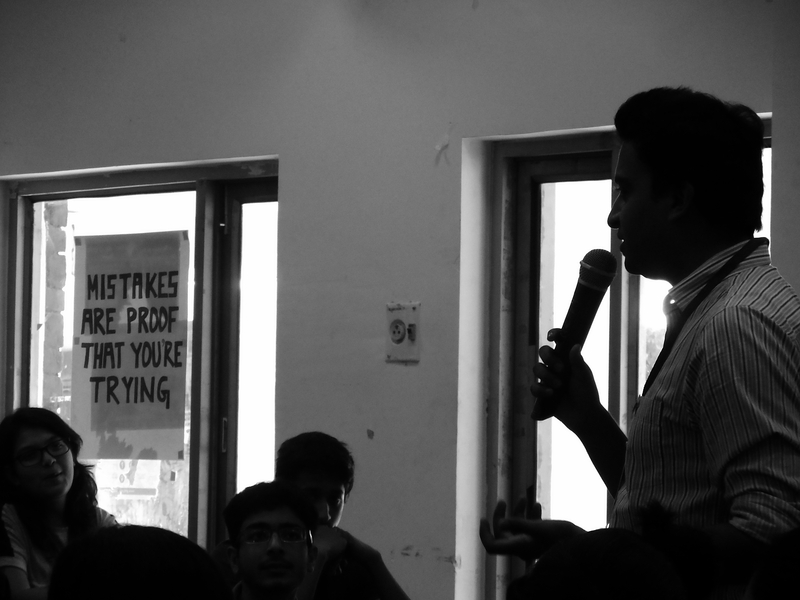 Thus, it was his last message to our delegates – Stay positive. Nikhil Bhaskar is our first speaker of the day. The man himself is a alumnus of College of Vocational Studies. 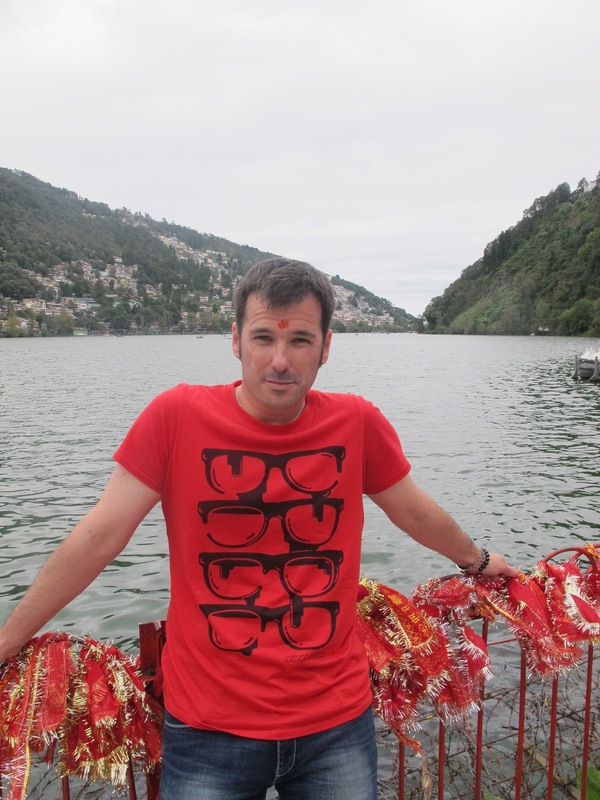 Nikhil is a consultant with Boston Consulting Group. He is also a management consultant. 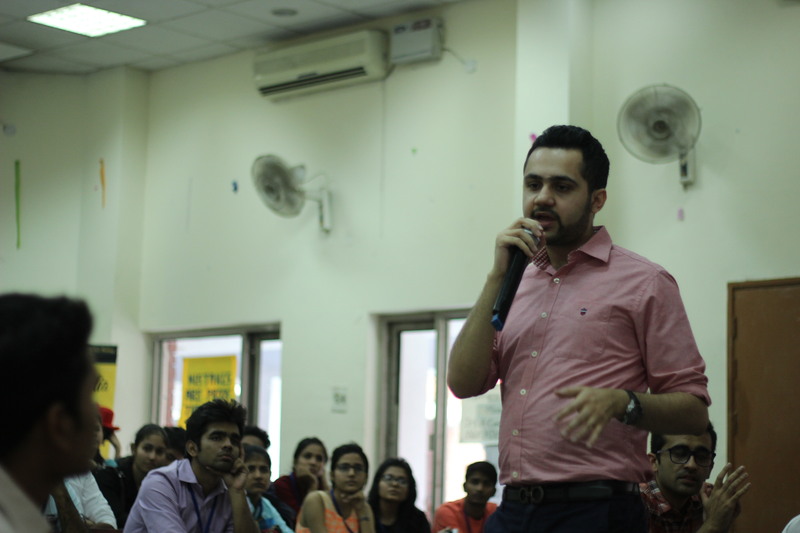 Along with this, Nikhil is associated with Landmark Education where he coaches people for personal effectiveness. How do you get what you want in life? What he did to get what he wanted? How to go beyond constraints of life? According to him, one has to be really specific of what one wants. The more clear you are with your goal, the more channelized you would be. Second, never think you are not capable of any thing. Don’t underestimate yourself rather come out of your comfort zone and grow. Everyone is capable of doing anything. Though its not easy, you have to lose your sleep to get what you want. 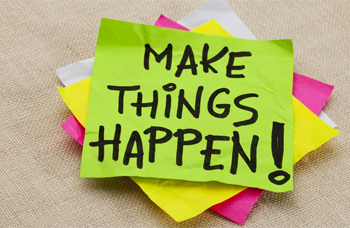 Third, get in touch with things related to your goal. Stay motivated, push yourself and have determination to move beyond to get your goals. Integrity – This means having integrity in oneself. One has to honour his words and promises to be a man of his words. Not only it restores faith, also it makes you disciplined which is necessary to make things happen. Existence – Analyse why you are here. What is the purpose behind your existence? What difference you’d want to make? How this game exits, in what ways and how you are going to play it? Such talk with Nikhil has left delegates mesmerised. They are amused by his enlightenment and his efforts to help people. As they say, there is no right time to do anything. You start now. Even if not at big level, try doing things which will contribute to your end goal. Don’t think that you know everything to make it right. Do your homework. Get your research work done. Talk to different people and get their feedback. Just think of all pros and cons and then move forward. A tree doesn’t grow in a few months. It takes time and efforts. Don’t lose your patience if things take time to flourish. Yes it is an important thing to do. You need to be in touch with people who can motivate you, promote you, guide you, inform you and find you ways. We blame the world for our failures but the biggest reason is ourselves, our thought and fear. Everyday, we must challenge ourselves and find ways to improve. Know what troubles you and how you can overcome it. Find what fascinates you and explore it. Be with people who motivate you and inspire you to move out of your comfort zone. Dare yourself each day and see how well you can live by it. No magic takes place inside the bubble. It’s only when you break the bubble and fly, you get to see the magic. Every person we talk of today never had a smooth road. Instead of waiting for someone else to do that, do that by yourself. Do you not believe that you can? You sure as hell can do that. Be that famous scientist, entrepreneur, artist or whoever you want to be. Be the first of your own kind. Unlike saying, its not easy. World will oppose you. At times, you will be the only one motivating yourself. But that’s the challenge right? You have chosen to do something unconventional, certainly the ride would be bumpy but make sue you save yourself throughout and reach the destination with pride. Our delegates are going through the same dilemma. Confused about the choices and worried about how to make it. And that’s why we are here helping them make decisions for themselves and bring the change. 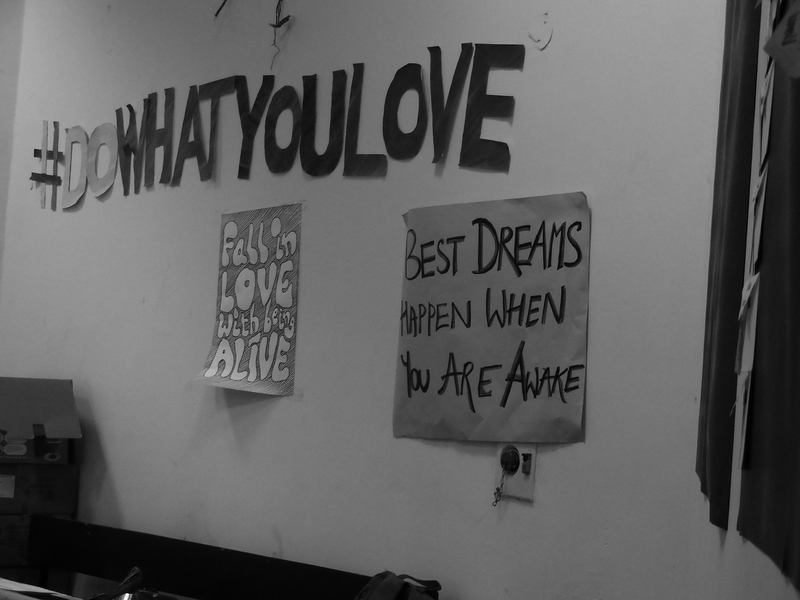 This movement of #DoWhatYouLove is just not any other movement. It’s a revolution which will change the world works today and the first step is you. Take the change. Today’s youth is dynamic and is ready to break the bubble of doing the absolute. This is a creative era. They are finding their passion in arts, dance, writing, photography and other creative fields. Problem arises when generations have conflicts. Most of the families around the globe, especially India, is facing this problem. Impact of globalization is so strong that its impossible to remain a cocoon. This is what parents need to learn. Time is changing and this youth is going to become leader of tomorrow. Every person who has made a difference has been able to do it because he was passionate enough. 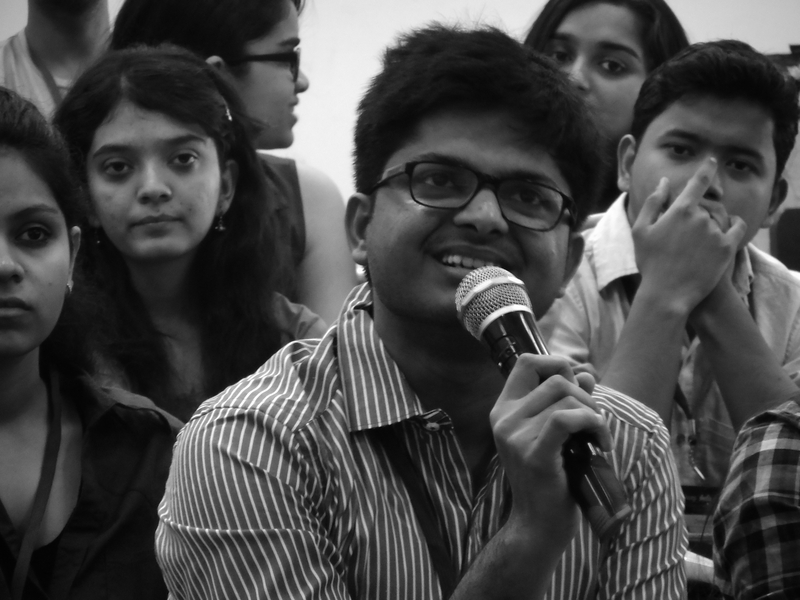 Every Young India Challenge has people who are defying the society to follow their passion. We have delegates who are college dropouts, left their corporate jobs to follow their dreams and school students (surprise!) who don’t want to waste their time struggling like others and are already ready for this conversation. It is not about rebelling your families but about saving yourself. Society has this perception that if you are happy doing something, you are not doing the right thing. You laboriously work for five days and take off on the rest two. What’s the use if you are spending 70% of your life being unhappy. This had not been the case if you had been pursuing you passion. Do What You Love and show people the difference it makes. They will come on board, for sure. Yay! 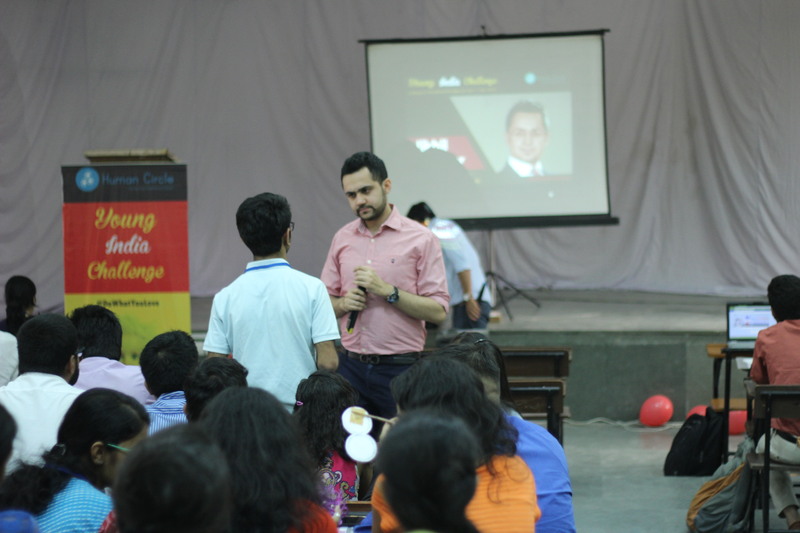 Young India Challenge is a year old. 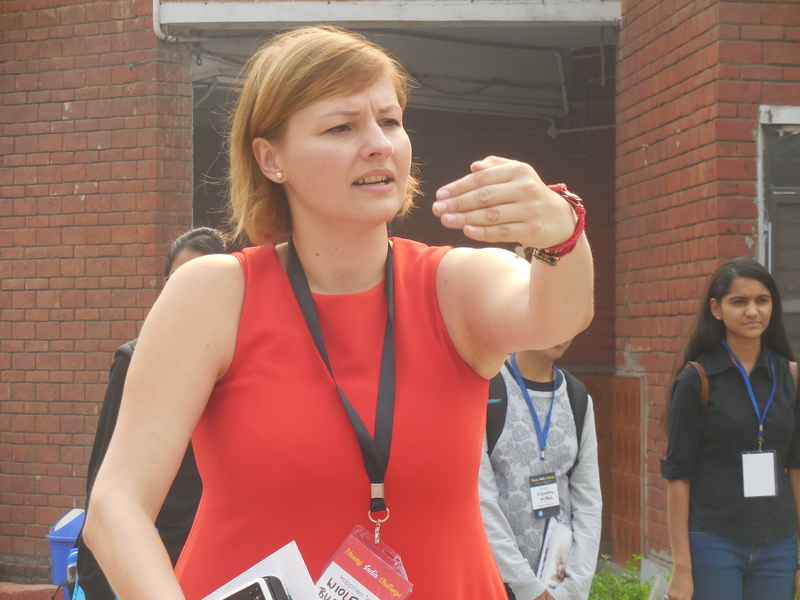 Yes, at this time last year, Human Circle launched first Young India Challenge at IIT-Delhi. 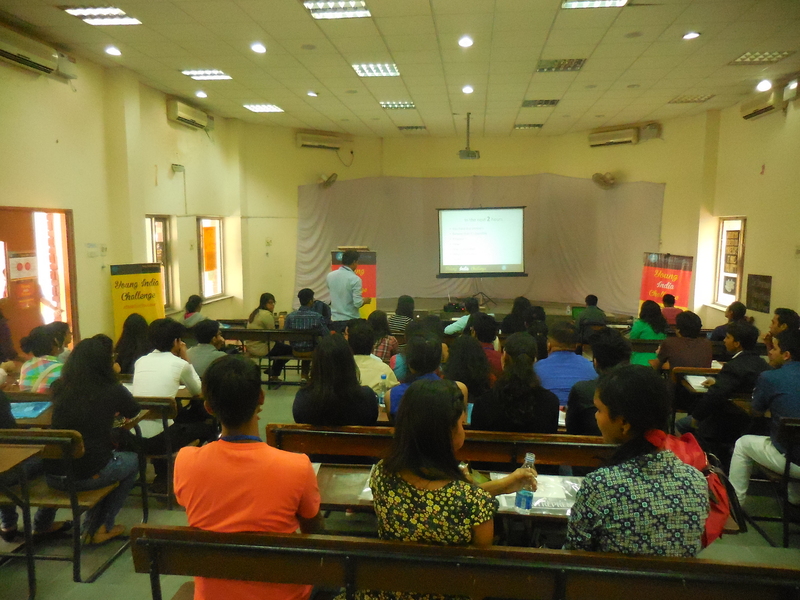 Today, we celebrate its anniversary by having another Young India Challenge at College of Vocational Studies. This time the we have a little difference. This time delegates already know what #DoWhatYouLove is. 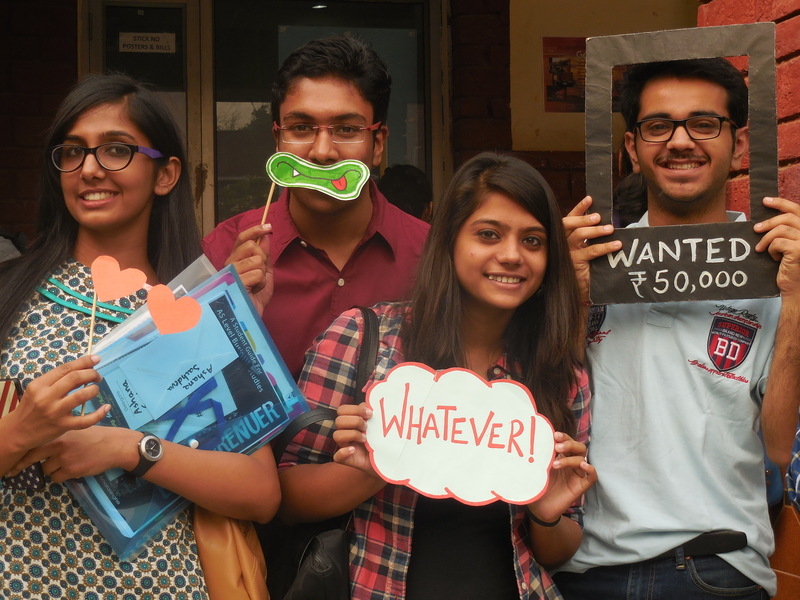 All thanks to #DoWhatYouLove hangouts. 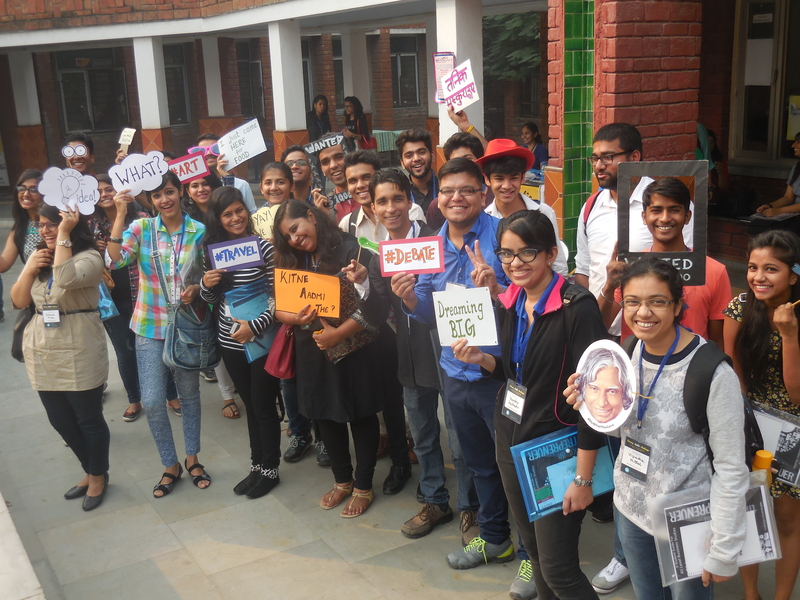 Youth is aware of Human Circle’s initiative and is ready to experience the change. The conversation is all about the conventional way of making a life while passion can yield better results. Most of the crowd lacks on the job skills. Is it not the waste of time and resources? The government already invests in education but don’t students get job or require training to be “employable”. The main reason behind this imbalance is mismatch of education and career. People are not pursuing their passion thus lack skills in their jobs and are certainly unhappy. Everyone is running after engineering and MBA without having valid interest. Some have their ways clear while others just become the part of sheep walk. 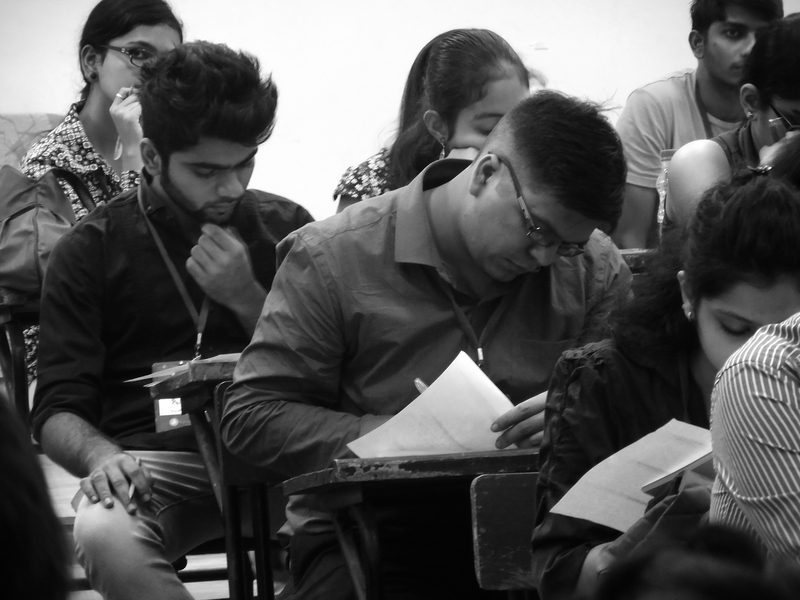 There is so much of confusion and imbalance that even after pursuing graduation and post graduation, people are not sure what they want to do. It’s okay to have knowledge of different fields but only till the time it is solving the purpose. Moral of the story being – do what you love and build career around your passion and get paid.